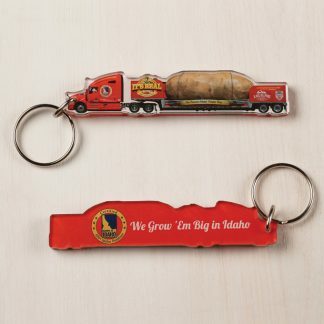 When the Idaho Potato Commission decided to build the tallest, longest, heaviest spud in the known world to commemorate their 75th anniversary, no doubt some thought it was a half-baked idea. 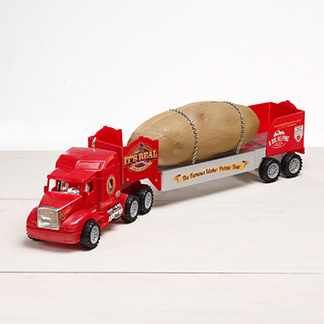 But they must have buttered up the right people, because they got their tuber and took the show on the road. 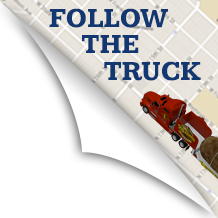 This 28-footer is no couch potato. 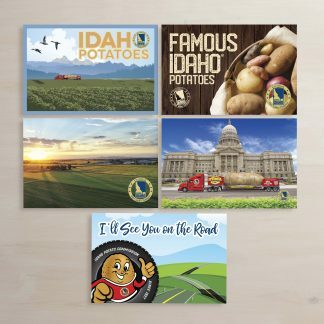 The spud and its entourage (driver and “tater team members”) have been crisscrossing the U.S. in a long flatbed trailer for the better part of six months, stopping at towns small and large along the way.